We can clear out all your gutters allowing the rain water to run free, enabling the guttering to do what it’s supposed to do. We use the new gutter vac system to do all the work from the floor, thus improving on health and safety. Onsite visits are required to quote for this service. At 1st Glass Window Cleaning we provide a reliable and professional gutter cleaning service to both residential and commercial customers in Thatcham and the Newbury area. 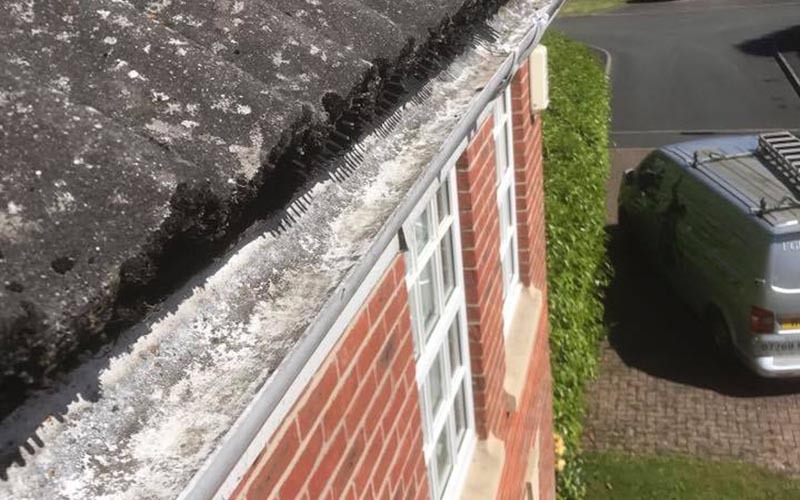 Our Newbury gutter cleaning specialists will clean and clear any type of guttering, unblock downpipes, fix minor repairs and provide a full clear, clean and wash service for gutters, soffits, fascia boards and conservatory roofs. Our gutter cleaning reputations speaks for itself, with repeat customers coming back to us time after time. We often get recommended by our happy customers in Thatcham, Newbury to friends and family. 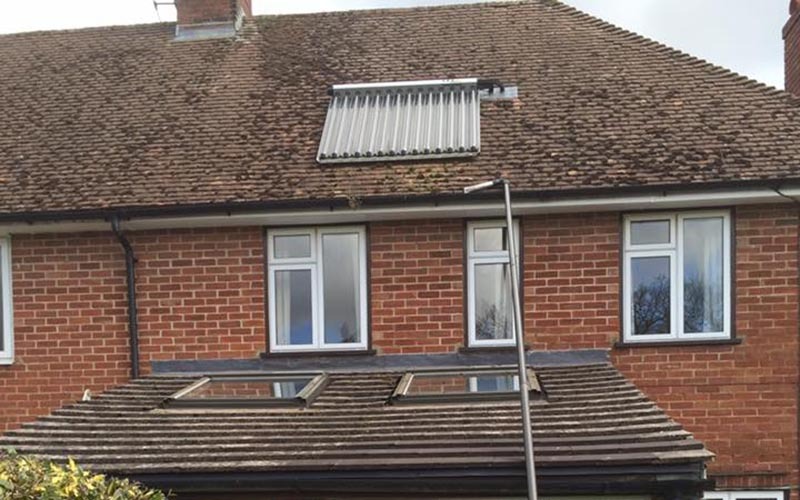 We take great pride in the fantastic reputation we have built up over the years within the Newbury area and take great satisfaction from always providing the best gutter cleaning service. 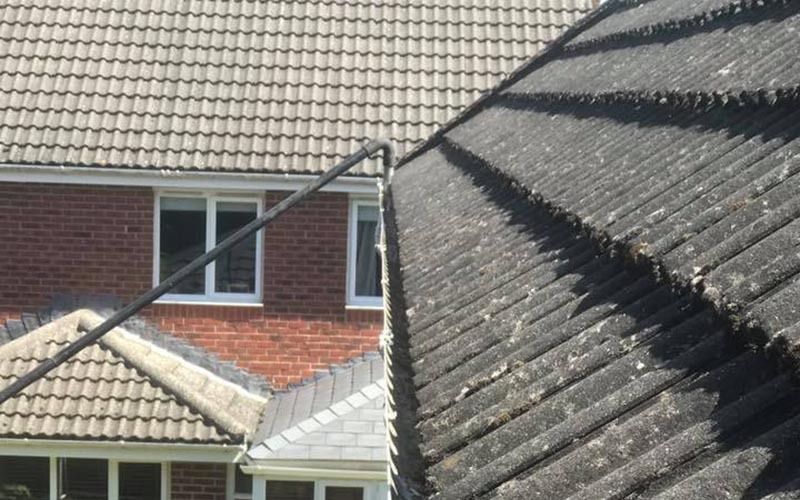 If required we will happily clear and clean your guttering system by hand, ensuring a thorough clean has been carried out before leaving your gutter system in full working order. Our expert team of gutter cleaning staff have many years of experience in the field. We are fully insured and come equipped for the job at hand. Our gutter cleaning team are always on-time, courteous and you can be sure they will complete the job to the best of their ability. Having your gutters and down pipes maintained on a regular basis will help ensure your property is protected against potentially costly damage due to blocked and overflowing gutters. Using the latest technology called the gutter vac, we will clean all your gutters from the floor reducing the risk of injury using ladders. We can reach all the hard to reach places that others can't reach. for example above conservatories etc. Our hoover is strong enough to empty gutters up to 5 storeys high taking away leaves ,pine needles, soil, grass blockages and blockages to downpipes. An average 3 bed semi will be £20 front and a further £20 for the back. Generally gutters emptying is priced at £3.50 a meter. If you would like a quote on clearing and cleaning your gutters then you have come to the right place. We can easily be contacted by calling 07771 666 633. If you would prefer to drop us a message then simply fill in our online contact form and one of our team will get right back to you.